With over 120 vendors, Big Bear Lake Village is a bustling shopping and entertainment district along Big Bear Lake, despite its cozy size. 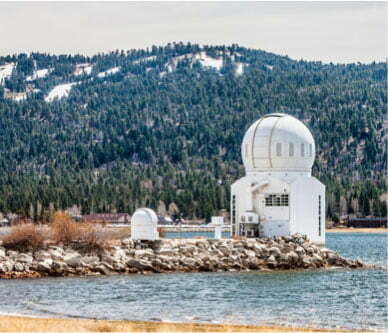 Whether you are visiting Big Bear during the summer or winter, there is always plenty to do here. 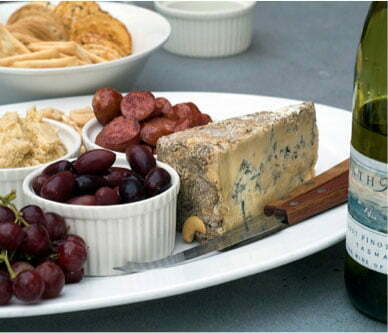 See below for a sample of some of what you can expect at Big Bear Lake Village. If you’d like to discover what else Big Bear Lake has to offer, download our free Vacation Guide! This resource is sure to save you time planning your trip. 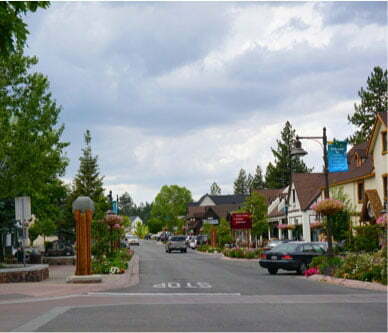 You’ll find all kinds of restaurants and food stores along the streets of Big Bear Lake Village. From casual dining to international cuisine, jerky stores to ice cream shops, there is something to satisfy any craving you have! Below are some of the best restaurants in the Village. Whether you’re looking for nightlife at a local bar or just want to relax with a glass of local beer or wine, there are a few places available. The collection of stores in Big Bear Lake Village are just as eclectic as the restaurants. Choose from boutique clothing stores, specialty art stores, gift and souvenir shops, and more! Big Bear Lake Village is home to a music venue which features periodic shows and a movie theater that regularly features new releases. To discover what else there is to do in the area, stop by the Visitors Center. There’s also a scavenger hunt that you can take to explore Big Bear that starts here in the Village. Of course, our Vacation Guide is also a great resource! In addition to these year-round venues, Big Bear Village comes alive for events from time to time, including the Big Bear Comedy Festival and during holidays like Thanksgiving and Christmas. For directions, a complete listing of vendors, and more general information visit Big Bear Lake Village’s website! 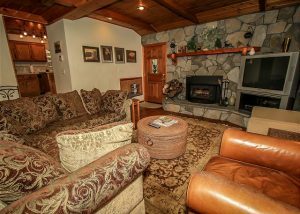 You’ll be close to all the activity at Big Bear Lake Village when you stay in a Big Bear Lakefront Cabin! Many of our cabins are just a few minutes away from the Village, and some are within walking distance. Being close to the Village doesn’t mean you have to be far from the ski slopes or the lake, though—our cabins are close to those, too. In addition to being conveniently located, our properties feature amenities like fireplaces, fully-equipped kitchens, hot tubs, and more! 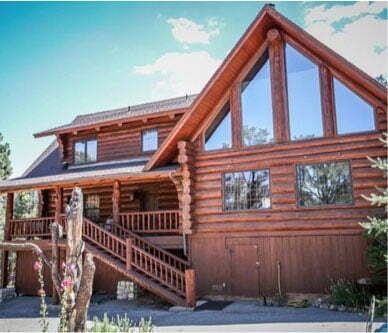 Our beautiful Bears Zen is the perfect home base for a vacation in Big Bear. Whether you just want to relax or are looking to explore everything that Big Bear has to offer, this cabin can provide you with anything you need (or want!). The inside is gorgeous and roomy, with four bedrooms spread throughout two stories. With a pool table, wood burning fireplace, and even a massage table, it would be hard not to relax during a stay here. An outdoor hot tub on the spacious deck provides a space for you to unwind after a long day, glass of wine in hand while gazing at the stars. Be sure to browse all our cabin rentals before you book your stay in Big Bear, and feel free to contact us with any questions!